Join us on March 20 as we review campus processes relating to acquisitions and contracts. Breakfast will be provided. Click to let us know you’re coming. Posted in IT News. Bookmark the permalink. Our Information Security Office has received several reports of email scams targeting University faculty and staff that involves the purchase of gift cards. The email begins with subjects like “Follow up” or “Are you available?” and if the recipient replies, the attacker continues to portray a University leader explaining that they are in a meeting and can’t take calls. They urge the recipient to buy gift cards for them promising to reimburse them later. The end goal is for the criminal to be sent gift cards on the “leader’s behalf” and email pictures of codes to them with the promise of later reimbursement. **If you receive such an email, DO NOT RESPOND and forward the email to infosec@scranton.edu**. If you received a similar email and you purchased gift cards, please contact the University Police for assistance and forward the original message to infosec@scranton.edu. Posted in Security. Bookmark the permalink. 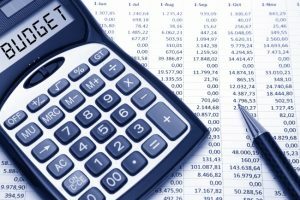 Microcomputer budget forms for academic and administrative computer requests for FY19/20 will be emailed to department heads in February and will be due back to IT early March 2019. 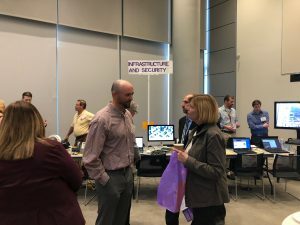 In light of limited budgetary resources, the evaluation and prioritization of these technology requests will focus on providing efficiencies in the administrative and academic areas. As a reminder, each employee should have only one system. If your current computer equipment does not meet your needs in performing your job, please make sure to contact your supervisor before the forms are submitted. Full-time faculty are on an automatic four-year renewal cycle and do not need to be requested. 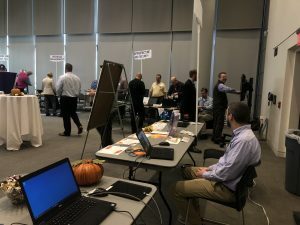 IT staff members will meet with departments who have computer labs to determine what’s needed and are available to meet with all departments to assist in this process. If you have any questions, please email itassets@scranton.edu. Posted in Computer Tools, IT News. Bookmark the permalink. 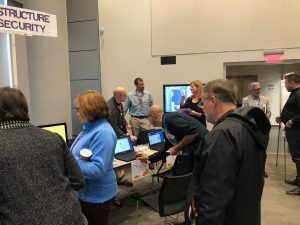 In collaboration with the Library, the Division of Information Technology asked the University community to provide feedback on its services. The survey was conducted last February through March, 2018. The survey was administered to undergraduate students, graduate students, faculty and staff. 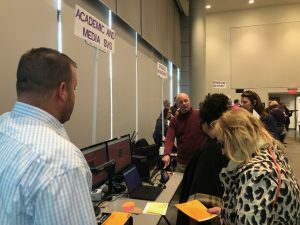 The results of the survey were shared with the faculty Technology Advisory Committee, the Administrative Technology Advisory Committee, the Provost Council and the Student Senate. 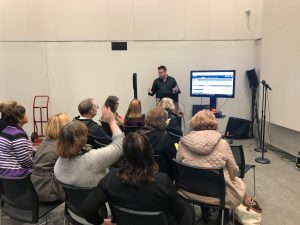 In response to the feedback from the survey, IT will be focusing its effort on providing additional support and instruction regarding file storage solutions and backup management. We will also be focusing on providing our constituents with additional opportunities to familiarize themselves with online safety best practices and cybercrime prevention. Posted in IT News, Survey. Bookmark the permalink. 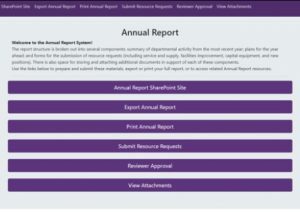 Over the past year, the Planning & Institutional Effectiveness and Information Technology units have been working together to develop a replacement technology for the longstanding electronic Annual Report System. 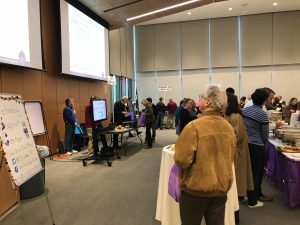 Drawing from prior assessments of the system, and feedback gathered through a pilot phase this fall, the new SharePoint-based tool will enable users to more easily submit, share and archive information and documents related to planning and continuous improvement. In addition to ease of usage, the new system is designed to enhance transparency, accountability, and data-informed decision-making. The system will also streamline resource request processes. 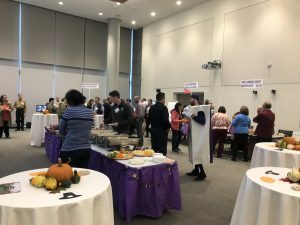 More information, including training resources, will be shared with academic department chairs, administrative department heads, and others involved in the Annual Reporting process in the weeks ahead. The new system is set to launch in early April. Much gratitude goes to IT for collaborating in the development of this innovative new system. With questions, please contact Kate Yerkes, Assistant Provost for Planning & Institutional Effectiveness at kathryn.yerkes@scranton.edu. The community was a large focal point while developing a plan for building access control during emergencies, and time was well-spent in reviewing each entrance and exit of every building on campus. After ensuring that our campus residence buildings were properly equipped to be able to manage door access during an emergency on campus, we spent the better part of 2017 completing access control throughout academic and administrative buildings. The goal was to meet convenience with security. In completing the project, we were able to create an environment that allows the Royal Card system to control over 50 doors across 22 academic and administrative buildings. We utilize this same process for after hours and weekend events. 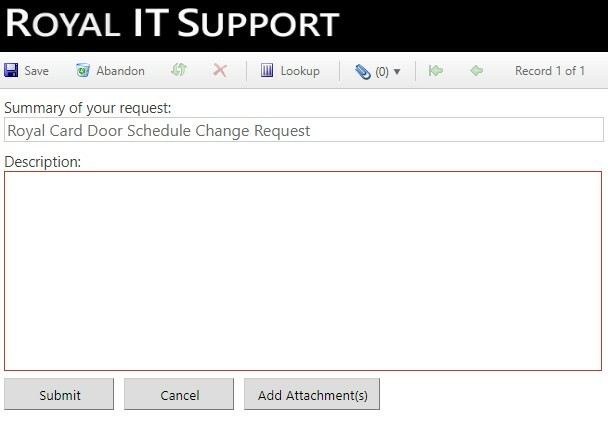 In order to maintain control of all these doors for emergency events, it is pertinent that any time a door is required to be unlocked, it is done so using Royal IT Support. How do I require that a door gets unlocked for an event? 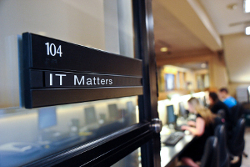 If your event on campus requires doors to be unlocked in a campus building, it is important that the doors are properly scheduled to be unlocked, by submitting a request through Royal IT Support. From the Royal IT Support homepage, you can submit your request by select Request a Service > Royal Card > Royal Card Door Schedule Change Request. Please be sure to include the building, doors, date(s), start time and end time of the event. To ensure the request is completed, submit this request at least 3 days before your event is scheduled. If you have any questions, please contact the Technology Support Center at 570-941-4357 or techsupport@scranton.edu. 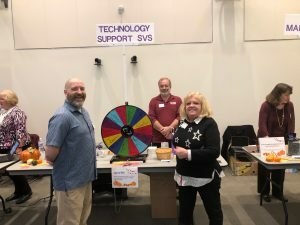 Thank you for making the IT Fair a great success! 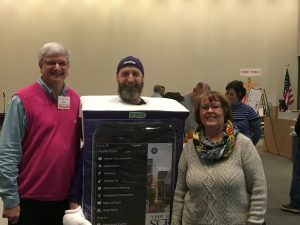 Posted in IT News, Staff Highlight. Bookmark the permalink. A t the end of the Fall semester, Academic and Media Services will be upgrading five classrooms in the Loyola Science Center. The rooms included in the upgrade are 233, 333, 334, 433 and 437. The rooms will be receiving a full-scale upgrade that will include removing the equipment from the closets and putting it in the podiums where possible. All A/V components, including the projector(s), switcher, controllers and cabling will be replaced. All rooms will get an updated program that will be more user friendly and intuitive than what is currently in place. All upgrades will be completed by the start of the Spring semester. Posted in Classroom News, IT News. Bookmark the permalink.